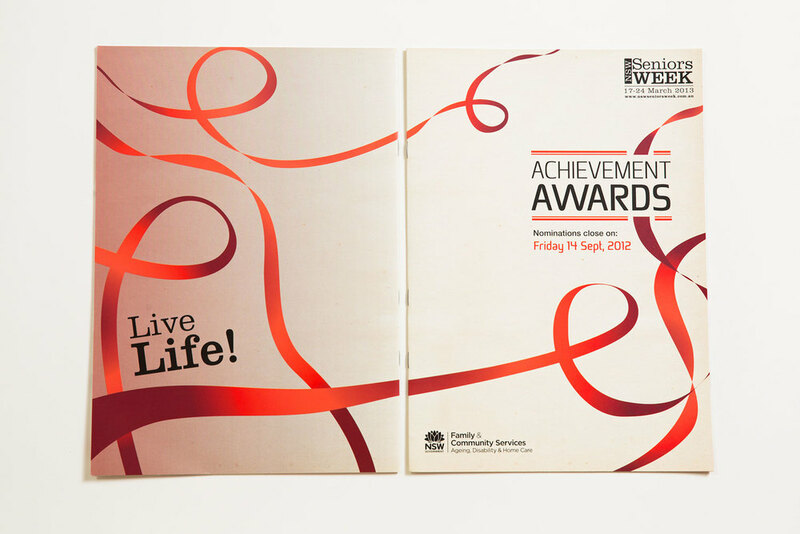 Each year the department of Family & Community Services acknowledges the outstanding achievements of seniors within the community through the Achievement Awards Nominations. 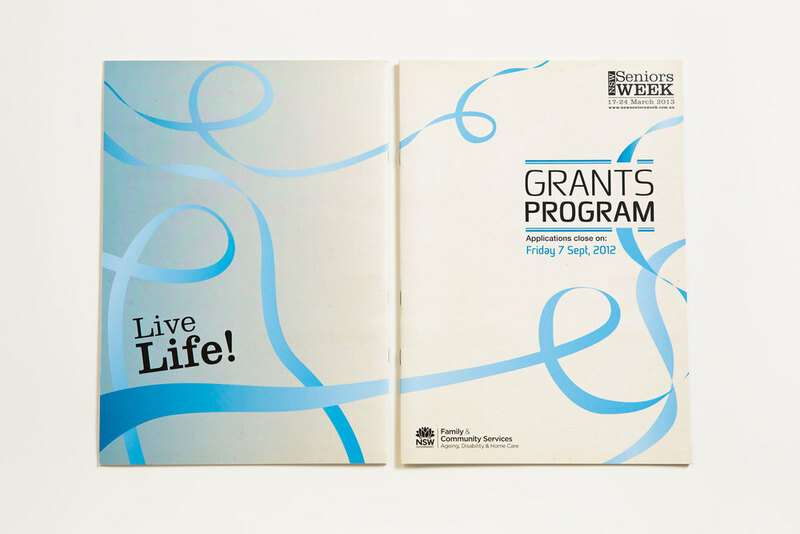 A grants program is also run in conjunction with this whereby community organisations can apply for government grants to support an event to be held within Seniors Week. 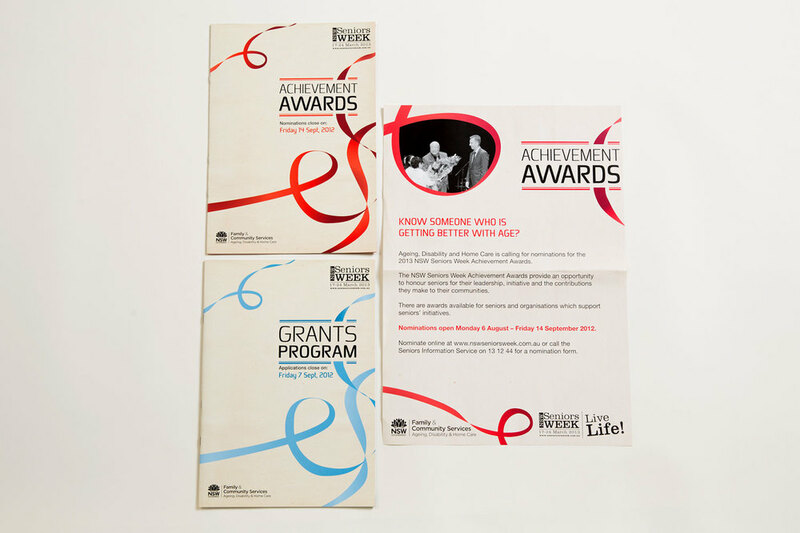 As the graphic designer for the overall NSW Seniors Week campaign I was responsible for the art direction and branding of these two sub-campaigns. The design for 2013 consisted of graphic ribbons aiming to evoke a feeling of festivity and celebration. 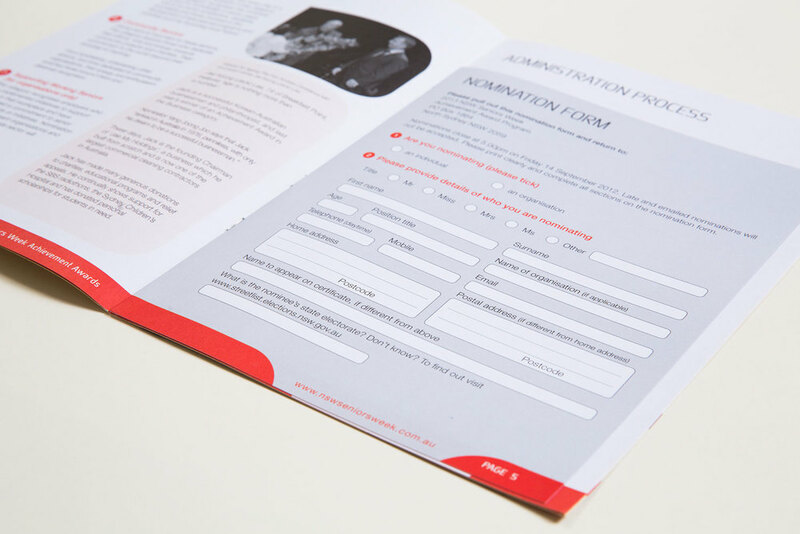 It was important that the sub-campaigns established their own identity whilst remaining complementary to the themes and aesthetics of NSW Seniors Week.